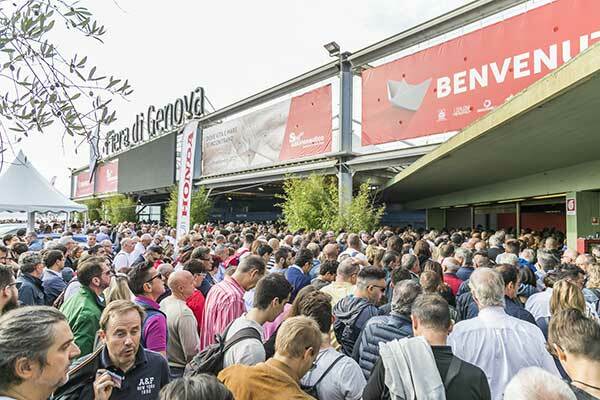 148.228 VISITORS, 16,5% MORE THAN IN 2016 884 BRANDS ON DISPLAY, 1.100 BOATS, 31 COUNTRIES PRESENT 3.450 SEA TRIALS DONE OVER 60 EVENTS IN GENOA, 49,39% MORE TOURISTS AND 44% MORE FOREIGNERS. THE SHOW'S PRESIDENT CARLA DEMARIA: "THIS BOAT SHOW'S SUCCESS REFLECTS ON THE FACT THAT THE WHOLE SECTOR IS GETTING BACK ON ITS FEET. THE TIDE IS TURNING, AND THE NUMBERS SHOW IT. THERE WERE MORE VISITORS AND NEW COMPANIES BOTH FROM ITALY AND FROM ABROAD DISPLAYING THEIR PRODUCTS." 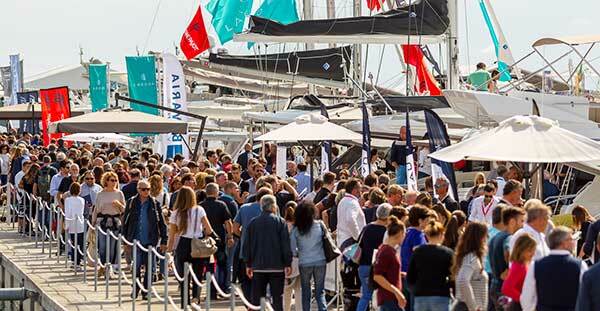 Ten days after the conclusion of the 57th Genoa Boat Show the organizers of the event, UCINA Confindustria Nautica and I Saloni Nautici, have calculated that this edition saw record numbers of participants and that the results, both in terms of total number of tickets and of products sold, have been excellent. 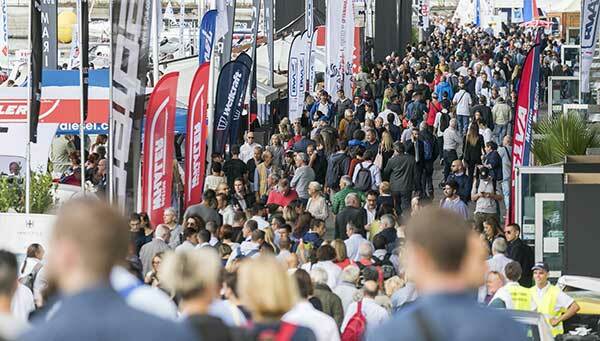 148.228 visitors, 16,5% more than the previous edition, 884 brands on display, 1.100 boats, 31 different countries represented, 70 first-time exhibitors. One number in particular shows how great a success this year’s edition was: there were 3,450 sea trials done at this year’s show compared to 2,416 the year before. 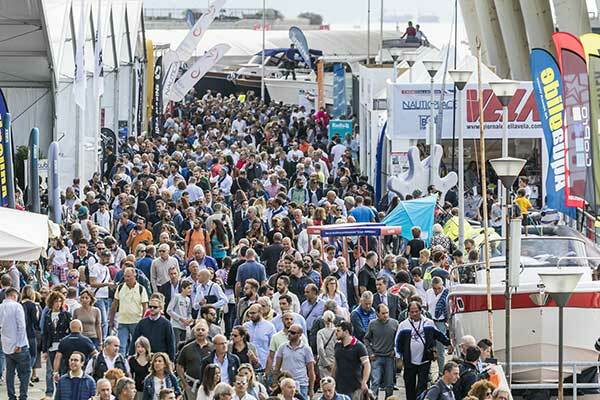 The events organized within the Genoa Boat Show were a success: there were over 50 of them on the calendar including 15 conferences organized directly by UCINA Confindustria Nautica for ForumUCINA. There were 800 test drives of products in the pool, 500 sea trials and over 1.000 students visited the Genoa Boat Show to try sailing first hand. The Genoa Boat Show’s PR department also did quiet well: 5.520 articles have been published on the Genoa Boat Show since the beginning of the year, and there have been over 65 hours of TV coverage, and 210.070 views of the Genoa Boat Show’s Facebook page. Even the numbers that regard the city of Genoa itself are better than good. Over the Show’s six days there were over 60 events organised around the city in the GenovaInBlu programme. Hotels were almost completely sold out with rooms going for 14% more than their standard rate. There were lots of tourists at the information kiosks: 49,39% more than in 2016 of whom 64% were Italians and 44% were foreign. The 57th Genoa Boat Show closed with two important moments: when President Carla Demaria gave Genoa’s mayor Marco Bucci a plaque to commemorate the donation of the Piazza del Vento to the city of Genoa on the part of UCINA Confindustria Nautica, and a historical moment for the nautical industry: when the Protocol of Intent between local institutions and UCINA Confindustria Nautica was signed and the Genoa Boat Show’s future was assured for years to come. UCINA CONFINDUSTRIA NAUTICA is the branch of Confindustria that has represented the Italian nautical sector since 1967. From shipbuilding to parts, from services to destinations. With 312 companies registered, UCINA CONFINDUSTRIA NAUTICA represents over 80% of the nautical sector in Italy and 65% of its activity goes to promoting growth in the sector through proposal of new legislation, sector-specific statistics, promoting the marine lifestyle and developing nautical tourism. UCINA has an open channel with institutions, politicians, charities and the government and is part of Confindustria, Federturismo, Federazione del Mare, Comitato Fiere Industria, Fondazione Edison and Fondazione Sviluppo Sostenibile with whom it shares principles and actions. On an international level, UCINA is present in both the European and International Federations ICOMIA and EBI. In line with its mission to promote the nautical sector, UCINA heads the company I Saloni Nautici, to organise the Genoa Boat Show (Salone Nautico di Genova,) a top event to showcase Made in Italy nautical products on an international level.